Discussion in 'Guitars in General' started by Zexcoil, Feb 5, 2012. I stumbled upon this this morning. Pretty interesting if you're a Page-head and a gear geek (like me). Some info on amps and effects as well. My favorite looking out of his Les Pauls is number 3. I love the way the red finish is worn and you can see the gold top underneath. thats the thing about page. he's a player and mods almost every guitar that he plays. doesn't care about the value. (of course, the fact that these are HIS makes them ultimately more collectable and valuable. if anyone else would be doing it, they would just be devaluing a vintage piece.) these are premium vintage pieces. i just love jimmy. Interesting, thanks for posting that link. Fancy that, a Norlin! I like it too but just because I have a Deluxe that sorta looks like it a bit. My fave of his is still the stolen Custom. Strange 'cause I'm not big on either Bigsbys or Customs. I guess this one just has "mojo" because he did his early session work with it and it disapeared early in Zep's history. 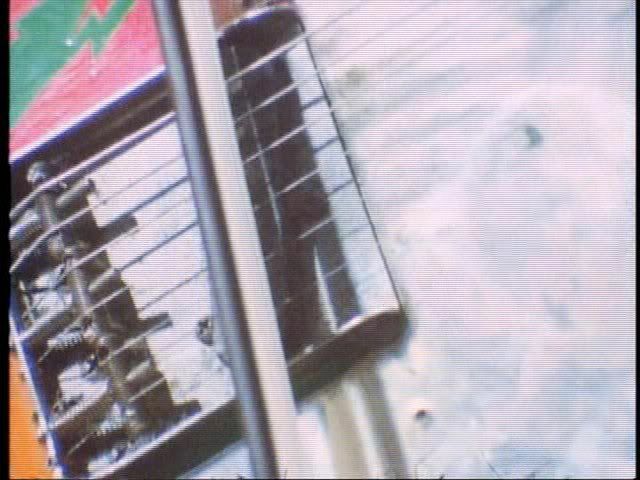 it was indeed a top-loader, and strung as such. it also clears up the murk around those mysterious switches supposedly hidden under the LP pickguard, turns out that was a post-LZ mod. I don't think I ever saw the polkadot Tele before. I like how he modified his Orange amp to read "Or ge." Good one. Why did he do that anyway? It's a pun. Say it out loud. I just noticed a derby hat on the floor in front of the Marshalls at the O2 show (picture sequence showing LP #3). Does anybody know, is this Bonzo's old derby hat? Kind of a cool tribute if it was.